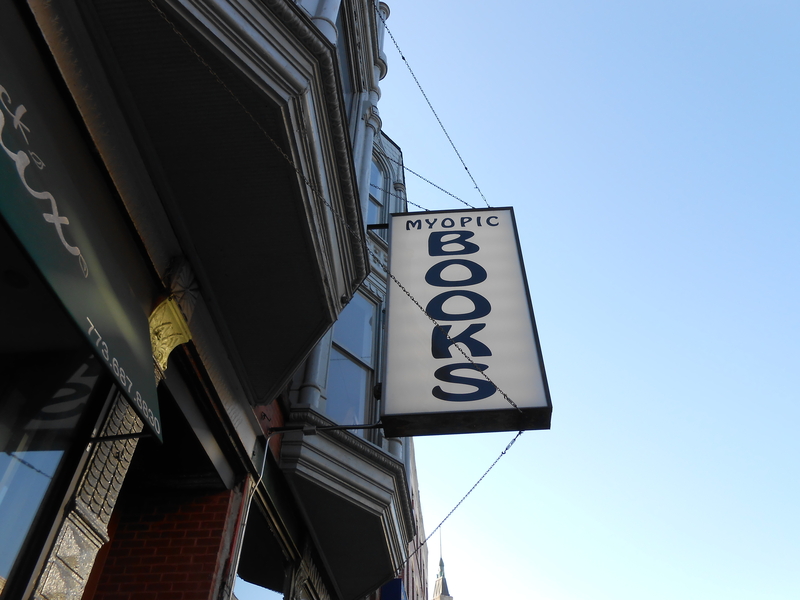 Myopic books is a used bookstore in Wicker park. It is about 3 and half floors. The basement has a low ceiling and contains mostly biographies but also things like suspense, horror, true crime, and sci-fi. The main floor is where they’ll take any large bags from you and give you a card for while you’re looking around. There are comic books, fiction, young adult, children’s book and history on the main level. Some of the bookshelves and ailse throughout the store will not fit more than one person and are tight for that one person.There is a half floor filled with fiction up the stairs that does not go all the way around. The rest of the way up is psycology, politics, and more about cultures. When I went I didn’t realize it was a used bookstore and thought it was just an independent bookstore, but when I did I ended up with a large pile of books in my arms. They were friendly and the shop has many events and even special signed copies or rare copies of books for sale.